FOR IMMEDIATE RELEASE: Lewiston, Maine (March 16, 2016) – New England Fights (NEF), America’s number-one regional fight promotion, will hold its next event, “NEF 22: ALL ROADS LEAD HERE” on Saturday, April 23, 2016 at the Androscoggin Bank Colisée in Lewiston, Maine. The fight card will feature a mix of mixed-martial-arts (MMA) and professional boxing bouts. Earlier today, NEF announced the addition of an amateur heavyweight bout to the MMA portion of the “NEF 22” fight card. Ras Hylton (1-0) is scheduled to face Matt Glover (1-0) at a fight weight of 265-pounds. Weighing in at 227-pounds and standing 6’6,” Ras Hylton towered over the top of the cage at “NEF 21” last month in his MMA debut. It took him just over a minute to dispatch his opponent, Zak Bergeron (0-1), using his reach advantage to pummel Bergeron with a barrage of strikes. 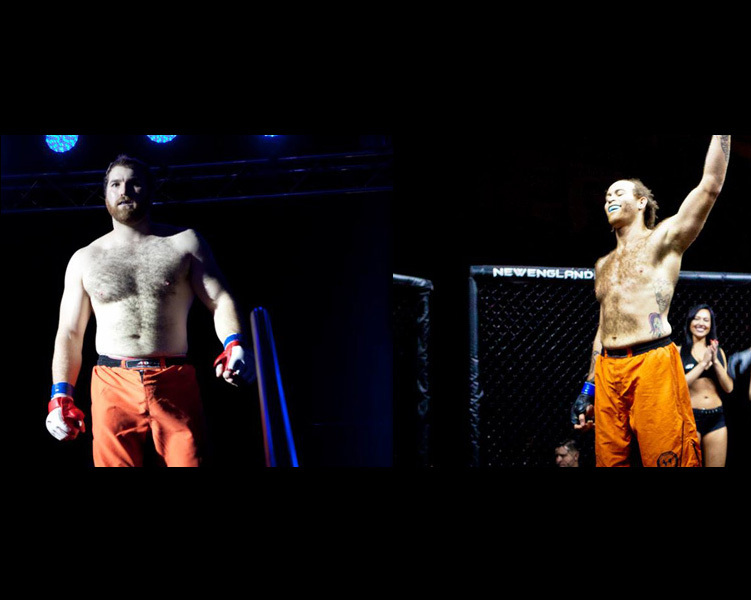 Hylton is a member of Dragon Fire Martial Arts of South Portland, Maine, as well as First Class MMA based in Brunswick. At “NEF 21,” Matt Glover defeated Gravin Guillen (2-5) via first-round technical knockout. During his time at Mountain Valley High School (MVHS) in Rumford, Maine, Glover was a standout on the football field. He is a member of Berserkers MMA where he trains under coaches Mike Hansen (3-3) and Gary Dolloff. Glover’s younger brother Ryan (Glover, 3-1) is the reigning NEF MMA Amateur Light-Heavyweight Champion. At 236-pounds and 6’2,” Glover realizes he will need to overcome Hylton’s height and reach advantage on April 23rd.